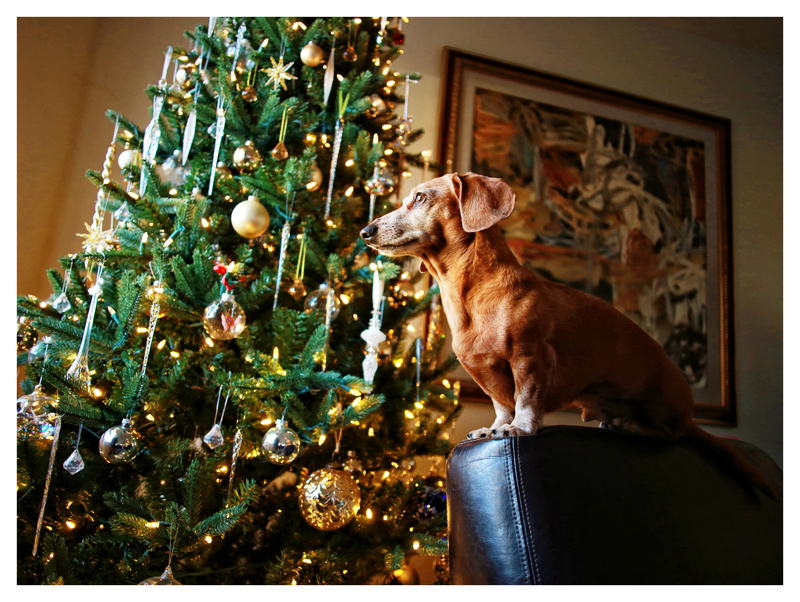 Rufus continues to patiently wait for Santa’s arrival. Unlike the other two, he knows exactly what to expect and can’t wait to tear into those beautifully wrapped boxes. I’m pretty certain he is less concerned with what’s inside and is more eager to enjoy the act of shredding the paper and boxes. 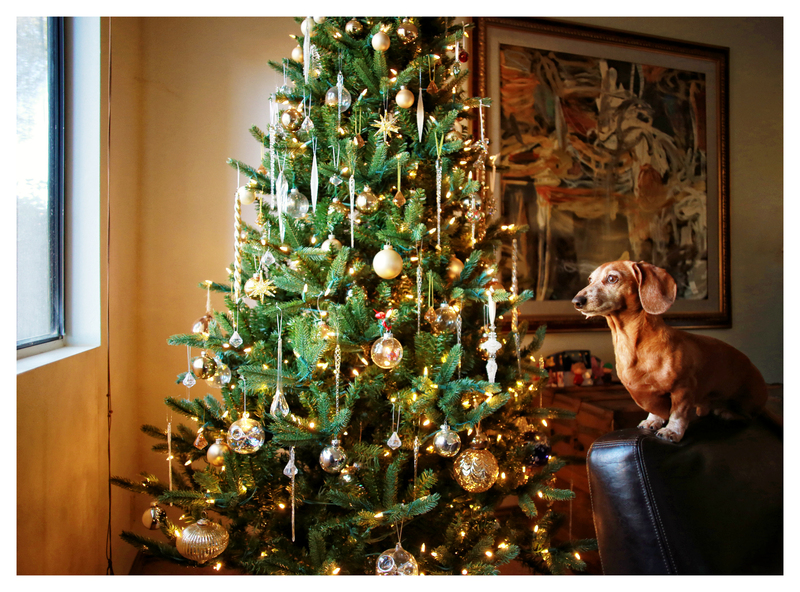 Does your dachshund enjoy opening presents?! Wishing you and yours all the best on this Merry Christmas Eve. 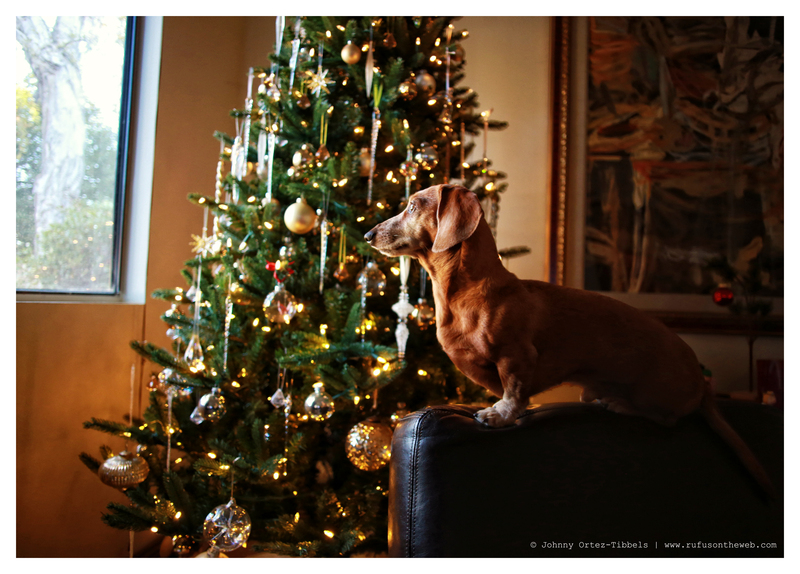 This entry was posted in Rufus and tagged #Christmas #holiday, #dachshund, #red dachshund, #smooth dachshund, doxies. Bookmark the permalink. Merry Christmas Johnny, Rufus, Emily Sue, and little Lucy!!! Oh YES they love to rip the paper and boxes! Tissue paper is their fave!!! Have a wonderful day!!! He looks so regal!!! MY doxies could care less about opening packages they are more concerned with what is inside & is it edible!! Merry Christmas!! Rufus looks anxious waiting for Santa Claus. I love Rufus!!! !